Nicknames are a strange thing. There’s a good chance your family has one for you your friends don’t know about; there’s a much better chance that it’s vice versa. They’re mutable, nonsensical, and the only thing you can ever really hope for is that, at some point in your short stupid life, one will stick that isn’t completely embarrassing. Thanks to my riding partner, that hasn’t happened yet. Instead, I’m Precious. I’m not saying there’s not good reason for it. It’s not the suffering that gets me about cycling—that’s the part I like. The despair that whispers in your ear when you come around a hairpin and see a whole new dizzying grade? Fine. That sensation when you’re 15 miles from home and concrete is settling in your legs? Bring it on. No, what I hate is discomfort. Headwinds; rain; drafts curling under your neck. So I’ve always done what I can to prevent it. Maybe that means a neck gaiter on a cold day, maybe it means keeping my warmers on even as the mercury rises past 70. Maybe it means begging off when there’s even a hint of mist in the air. So yeah, I’m Precious. Or at least I was until this winter, when I finally realized what was possible in the rarefied air of Castelli’s Rosso Corsa tier. First came the Gabba 2 jersey ($180), which finally managed to integrate admirable qualities like “windproof” and “water-resistant” without also including less admirable ones like “feeling like a trash bag.” The thing’s already become such a staple in the peloton during inclement Classics that last year Castelli trolled us all by releasing a “pro edition,” the sole distinguishing characteristic of which is a magic marker so that riders sponsored by other apparel companies can black out the offending logos. The thing somehow combines the warmth and proetction of a softshell jacket with a regular jersey profile, never leaving you feeling overburdened or vulnerable to the elements. Paired with Nanoflex warmers, it kept me comfortable down to just about 50—in dense fog, rain, even pure brilliant sunshine. When the mercury dropped and the wind really picked up, though, I found myself throwing a wind jacket on over it—which was fine, but still wasn’t quite the all-in-one solution I’d been hoping for. 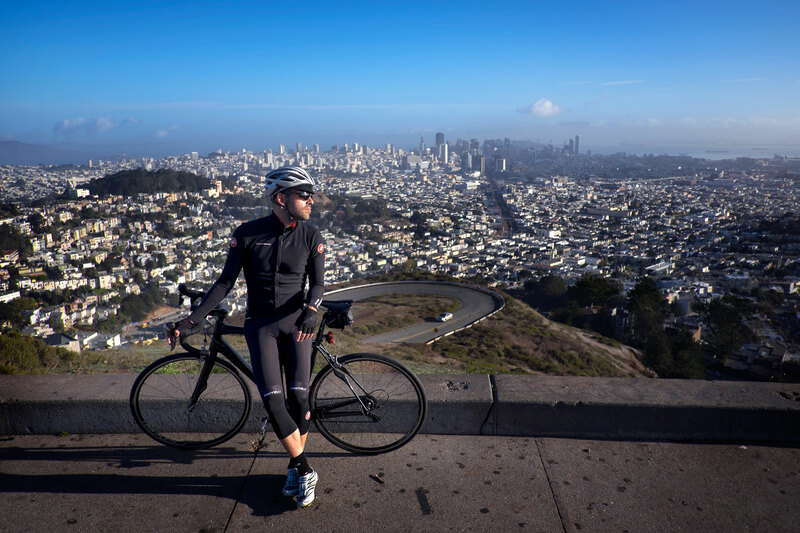 So for the worst that Northern California could throw at me (again, I realize that that’s better than the best that many other states can muster up in late winter), I reached for the Alpha Wind Jersey ($250). It’s rated down to the low 40s, which made it the perfect choice for those weekday early-morning rides when I needed lights as much as I needed a good hat. 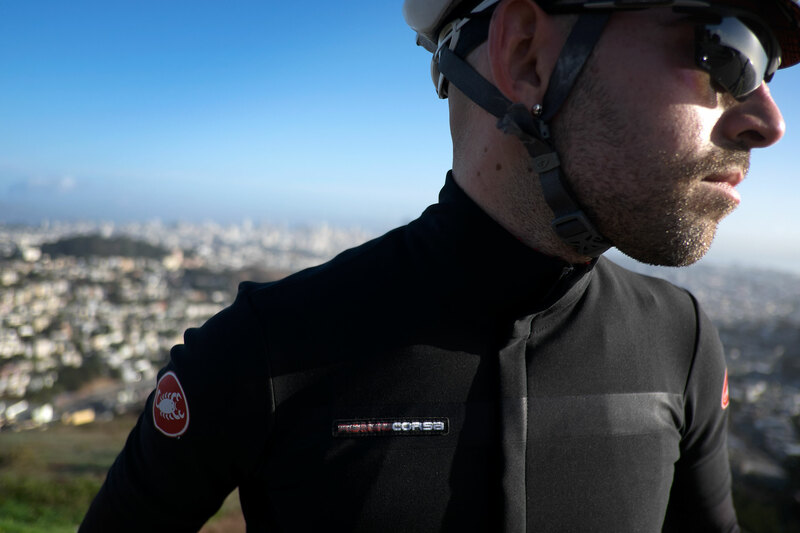 A lightweight insulation layer is sewn into the jersey’s front so that you can unzip the windproof panel on a long climb to avoid overheating while still keeping things comfy. A super-high collar means that your neck stays warm no matter what, and the same extra-long rear flap as the Gabba’s keeps you dry from road spray. And when I say “you,” I mean “me,” because not only have I been riding outside all winter, but I’ve been doing so happily—which is a first for ol’ Precious.